The Polyhymnia story begins with the story of Philips Classics. The Philips Classics recording centre was founded in the Netherlands in 1950 to provide top quality worldwide recording services for the Philips Classics label, working with many of the world's top classical artists. In 1973, the recording centre moved to a beautiful carriage house in Baarn, which was soon christened “Polyhymnia.” Named after the muse Polyhymnia, the muse of sublime and sacred hymn, Polyhymnia means “many voices” or “many songs”. By 1996, the CD market was in decline, and PolyGram, the parent company of Philips Classics, decided that they no longer needed three recording centres (Decca in London, Deutsche Grammophon in Hanover, and Philips in Baarn). PolyGram’s cost-saving plan was to close the recording centres in Baarn and London, and to relocate a number of the engineers to the Deutsche Grammophon recording centre in Hanover. Four Philips Classics engineers immediately proposed starting an independent recording company. Negotiations continued; for well over a year, until PolyGram agreed to a deal in the Fall of 1998. The Philips Classics recording centre became home to a new independent company and, taking the villa’s name as its own, Polyhymnia International was established on October 15, 1998. When Polyhymnia started, It had a great tradition to uphold. Philips Classics was known as one of the leading record companies in the world when it came to the artistic and technical quality of their productions. From the start it was important to everyone at Polyhymnia International to continue and preserve that tradition. Philips Electronics founded Philips Classics in the 1950’s. The original purpose of the company was to encourage the sale of Philips audio equipment by providing high quality classical music recordings. The availability of professional audio equipment was limited, so Philips Classics decided to build a factory in Baarn to provide top-quality professional equipment for their studios around the world. The Philips Classics recording department was first housed at the factory in Baarn. In 1973 the recording department moved to the Polyhymnia villa on the Prinses Marielaan in Baarn. This villa housed post-production rooms, offices, and the recording equipment. Recording teams and equipment were sent off from Baarn to locations worldwide. The philosophy of Philips Classics was to achieve top quality artistic and technical results. Recordings were made with the best artists at the best recording locations in the world. In 1990, a major investment was made in the addition of four state-of-the-art post-production studios to the Polyhymnia facility. Three of these studios are now Polyhymnia’s primary production rooms. Over the years there was an intense collaboration between artists, producers and balance engineers to achieve the most natural sounding results possible. On the recording side, many different microphone techniques were tried, and on the post-production side, editing and mixing techniques were developed and improved to meet the demands of exacting producers and artists. The musical aspects of the recordings were the driving forces behind these ongoing improvements. 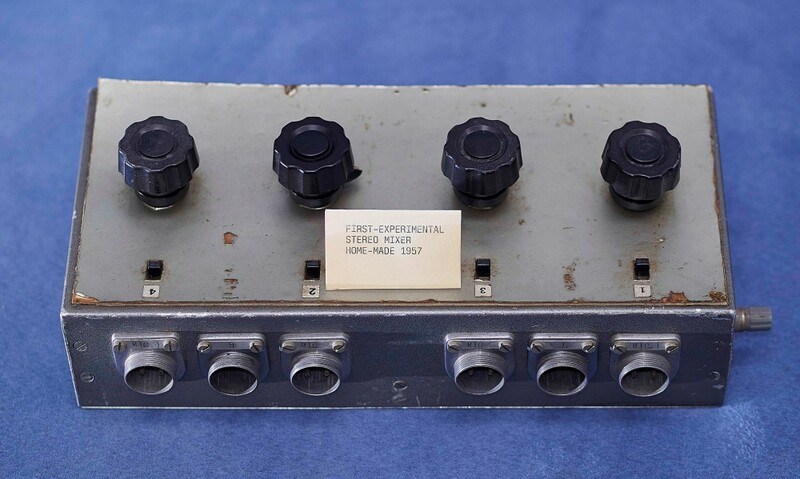 The combination of state-of-the-art equipment and expert engineers and producers resulted in the “Philips Sound”, which quickly became famous and respected around the world. These unique qualities can still be heard in the RQR series released by the Pentatone label and mastered by Polyhymnia. This series consists exclusively of stunning quadraphonic recordings from the 1970’s, and is a perfect example of the unique recording techniques and artistic achievements that Philips Classics delivered. .
Polyhymnia is deeply rooted in the Philips Classics tradition, building on more than 40 years of recording experience. The drive for perfection can be found in every aspect of every Polyhymnia production. Polyhymnia continues to work only with the best possible audio equipment, and it should surprise no one that much of that equipment is still designed and/or modified in house. This is what you could call the Phillips Classics legacy.